Planning your holiday or a good day out on your bike can be hard, where do I go? What will the surface be like? Will I be good enough for the route? 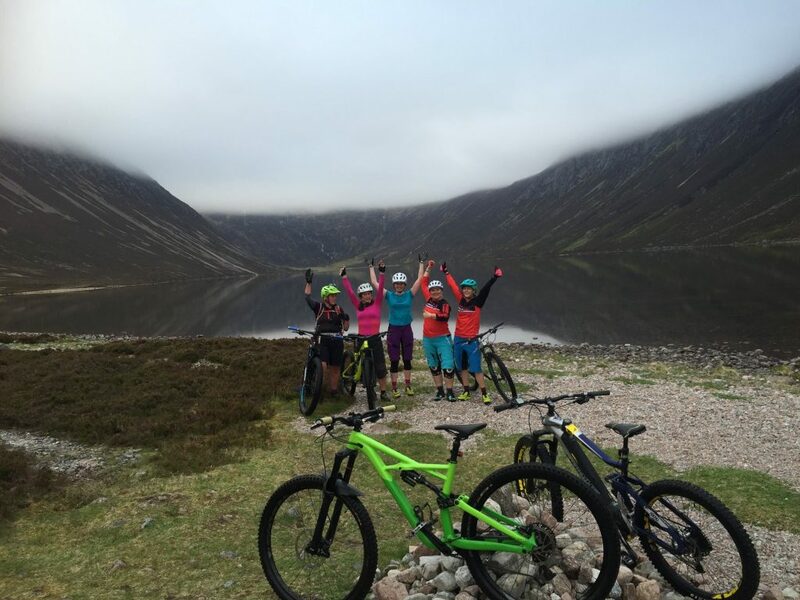 Well as a bike shop staffed by folk who all ride bikes every day it’s fair to say we know a good route or two, below we’ve detailed our three favourite, must do trail rides that start in Aviemore for intermediate level riders. What do we mean by intermediate? Well, firstly you that don’t still ride stabilisers, and secondly that you could comfortably ride Blue & Some Red graded routes at a trail centre. If you love the feeling of being in the middle of nowhere and are confident that you can look after yourself and your bike in a cut off area then it is definitely worth visiting Loch Einich. 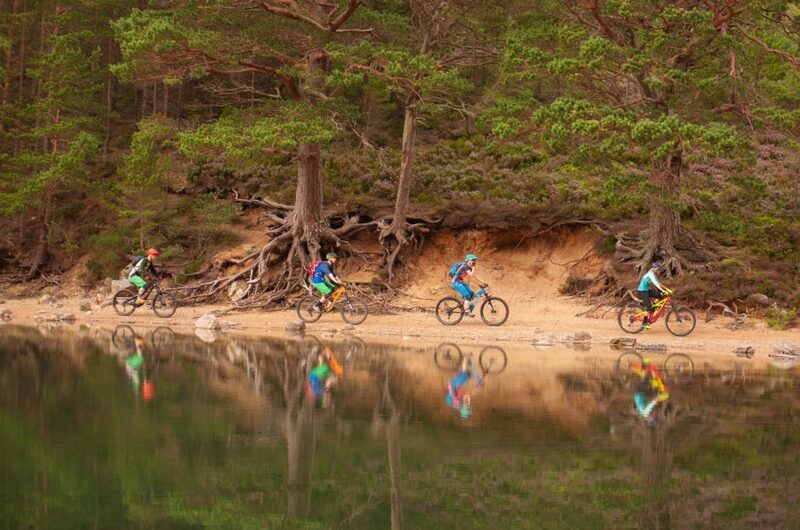 Starting from Aviemore you can link this route with the well known Loch an Eilein track through the Rothiemurchus forest before cutting off down Glen Einich. The wide (but rocky and fun) landrover track leads you through the stunning glen for around 12 Kilometers where you will then be surrounded by some of the high peaks of the Cairngorms including the jagged Sgor Gaoith. Below the hills is Loch Einich, your destination, and a top photo stop! Enjoy the views before turning round and heading back to Aviemore (it’s an out and back route), it’ll take you a lot less time to ride back as it’s downhill most of the way. Nice views even when the cloud is down. ** River crossings can be high during winter, you will get wet feet! This is great loop if you like a test of your fitness , technically the trails are not too challenging but the climb and distance of the Burma Road will keep you entertained. 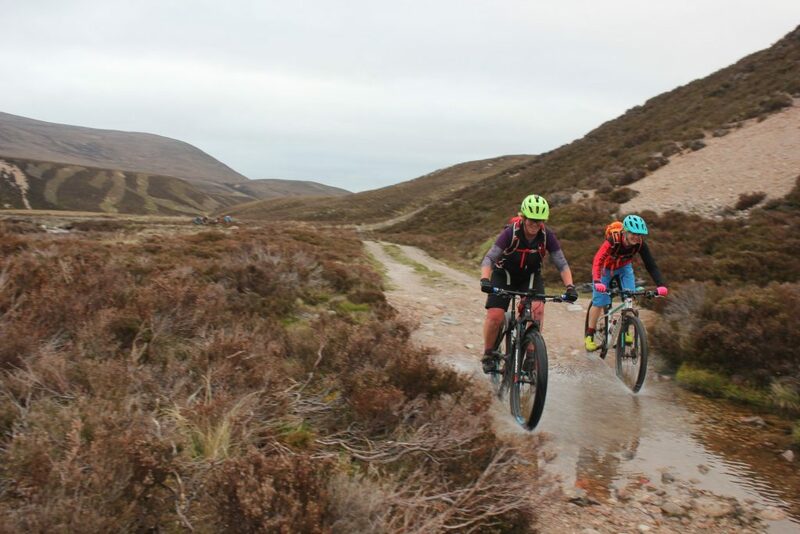 The Burma Road Climb starts in the Kinrara Estate just outside of Aviemore where a punishing 5 KM Climb awaits you, this takes you up to around 700 meters. After the climb you can continue through the hills and forests along the River Dulnain to the village of Carrbridge before heading to Boat of Garten and returning to Aviemore via the Speyside Way. There’s also options of adding fun singletrack sections into the Burma Loop. The top of the lung busting climb! Well worth it for the views. Time? This loop could take anyone anything from 2 hours to 5 depending on ability and number of coffee stops! Cafes? Carrbridge Kitchen, Boat of Garten Gallery, Route 7 Cafe Aviemore are all on route! If you fancy seeing a Scottish Bothy and a stunning green loch then the Ryvoan Loop could be for you. The route is suitable for those with an intermediate skill level including young cyclists. 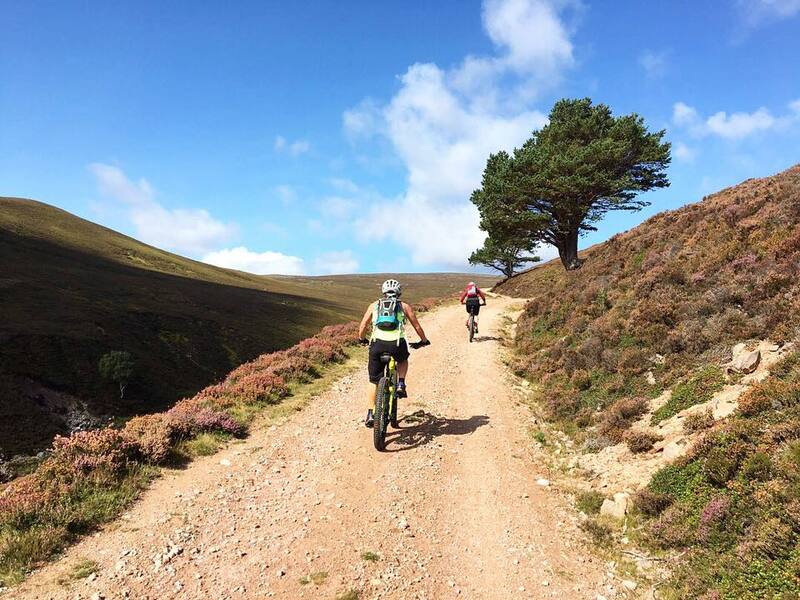 Again, you can start this route from Aviemore and head up to Rothiemurchus and follow the easy trails through the forest to get started. Once you are up at Loch Morlich head past Glenmore Lodge and up the trail to An Lochan Uaine locally named as the Green Loch. Why? When you see it you will know why. After the Green Loch you then reach Ryvoan Bothy at the foot of Meal a Buichalle, continue on along the main forest trail through the moorland and into the Abernethy Forest where you will arrive at Forest Lodge. 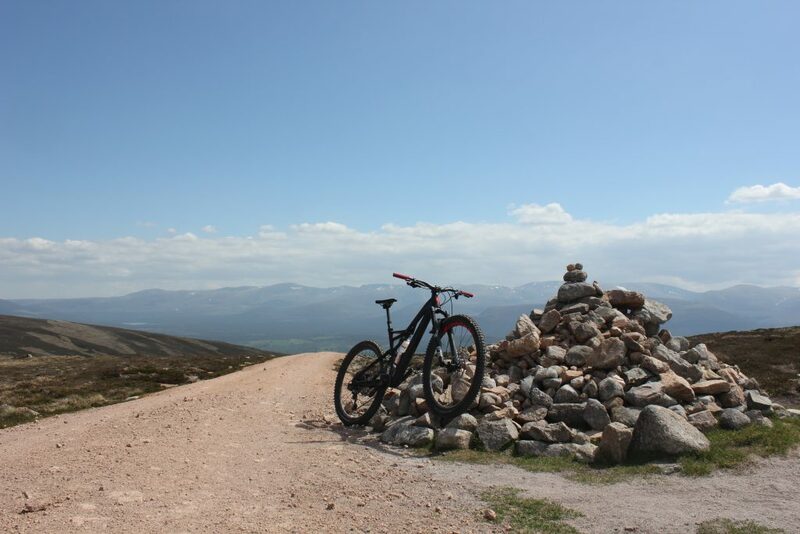 You can then either return to Aviemore via the Speyside Way/Route 7 for a 40 Kilometer Loop or ride on to Nethy Bridge to extend the Route, again returning via the Speyside Way. Hopefully we have filled you full of inspiration for your next visit to Aviemore, for further information on any of the above routes don’t hesitate to pop in and see us and we can talk you through our huge selection of trail maps.